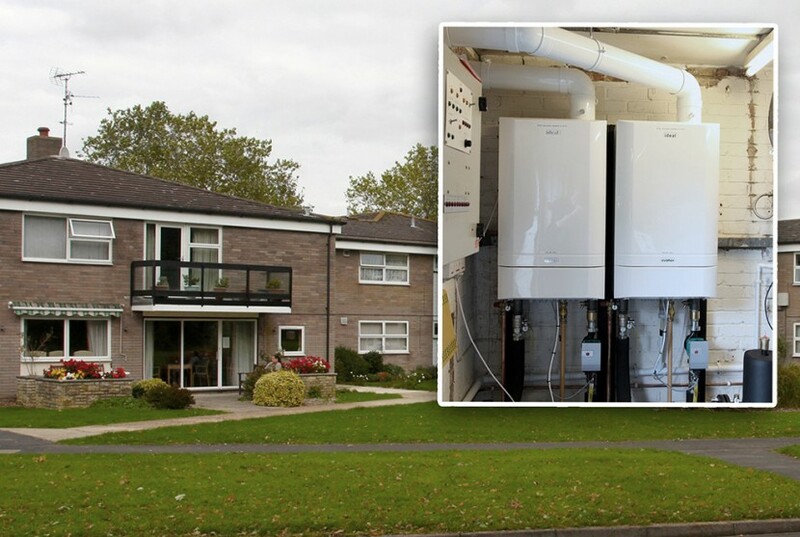 Ideal Commercial Boilers has supplied four Evomax high efficiency condensing wall hung boilers and two Frame and Header Kits to New Forest District Council, which have been installed to provide energy efficient space heating for two Older Persons Accommodation schemes in the New Forest. Sarum House and Robertshaw House, built in 1971, are identical buildings each comprising 26 flats that are specially designed for older persons who wish to retain independent living. Space heating is particularly important for the older person and the previous non-condensing floor standing boilers were not only unreliable but also extremely costly to run. Rob Sowden, Commercial Gas Engineer for New Forest District Council, selected the Evomax boilers as he knew from experience they are reliable and exceptionally easy to install and maintain. He installed a 60kW and an 80kW Evomax on a Frame and Header Kit in the boiler room at Sarum House and repeated the installation at Robertshaw house. Rob also integrated sequence controllers to further minimise fuel use. Designed for ease of installation, commissioning and servicing, the Evomax expands the options for commercial applications, with available outputs ranging from 30kW to 150kW. In addition to its lightweight design, siting is made easy with a selection of room-sealed and open flue system choices. The option of insulated Frame and Header Kits allow the Evomax to be installed in cascade formation, either back-to-back or in-line depending on the requirements of the plantroom, with a combined top capacity of 600kW. Even more flexibility is provided with the option of Low Height Frame and Header Kits, which ensure installation of the Evomax is made simpler in instances where there is reduced headroom or sloping ceilings.